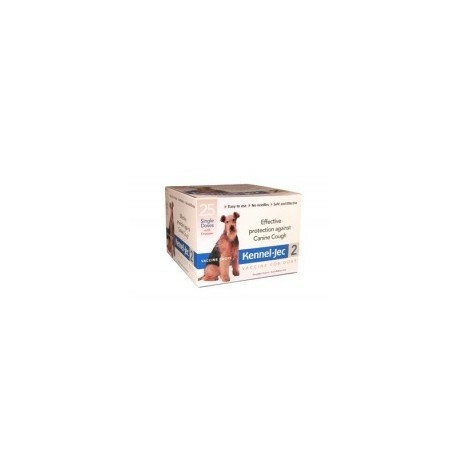 Recommended for the vaccination of healthy dogs 6 weeks of age or older against diseases caused by canine distemper, CAV 1 & 2, parainfluenza, parvovirus leptospira canicola, leptospira grippotyphosa, leptospira ichterohaemorrhagiae and leptospira pomona. 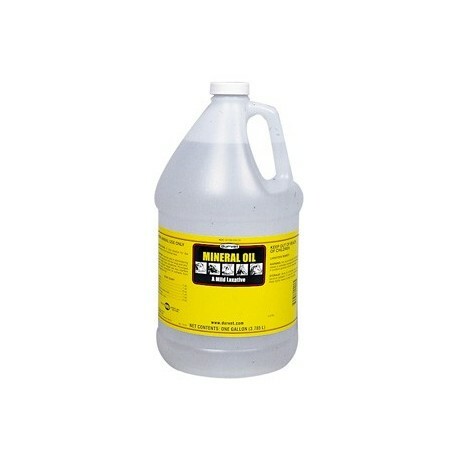 This product contains the CPV 2b strain. 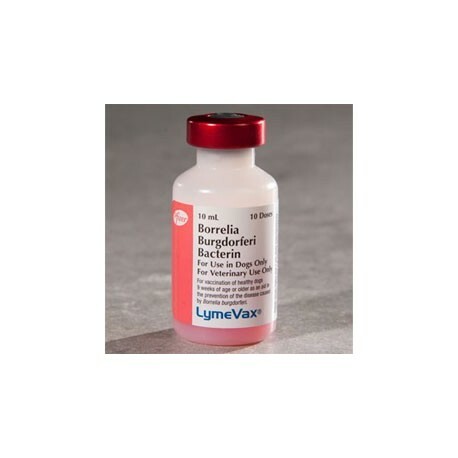 LYMEVAX is indicated for the vaccination of healthy dogs 9 weeks of age or older as an aid in the prevention of disease caused by Borrelia burgdorferi (lyme disease). Vaccine is non-returnable. 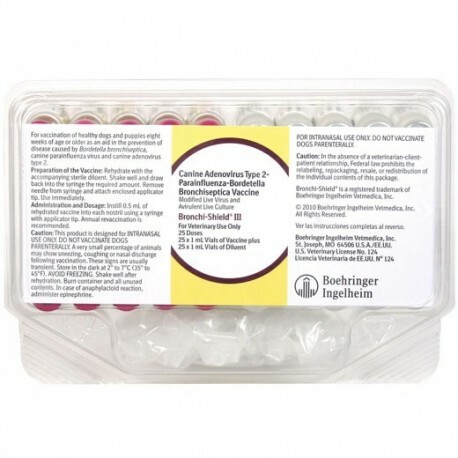 Vaccines with live viruses cannot be shipped to Minnesota without a valid prescription. 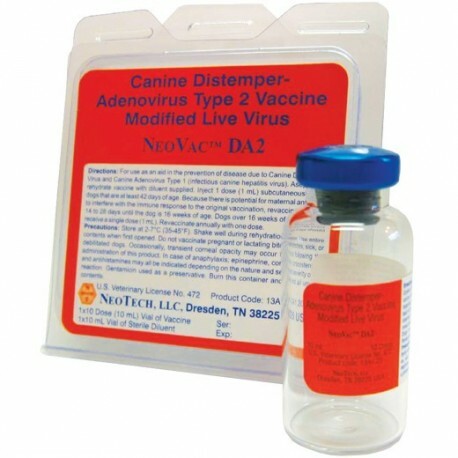 For the vaccination of healthy, susceptible dogs and puppies as an aid in the reduction of diseases caused by canine distemper, canine adenovirus types 1 and 2, parainfluenza, and parvovirus. 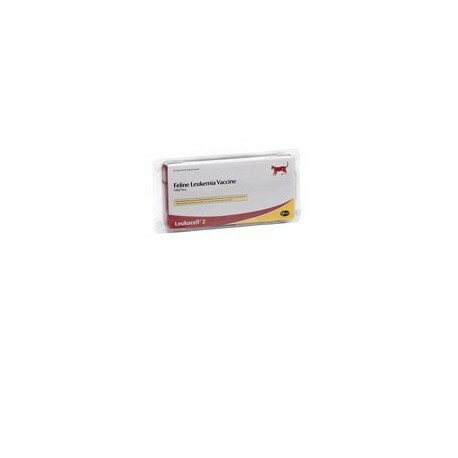 Neopar is recommended for the vaccination of healthy dogs against diseases caused by canine parvovirus. This is a modified live version of the virus.Vaccine is non-returnable. 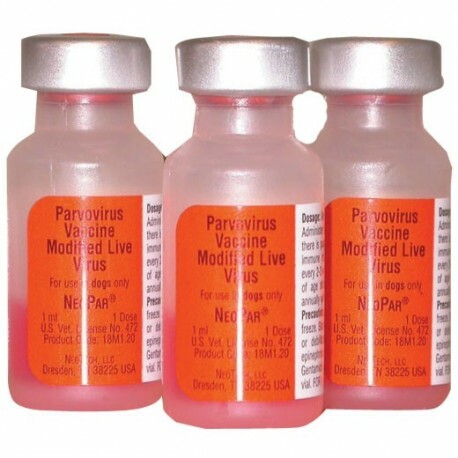 Vaccines with live viruses cannot be shipped to Minnesota without a valid prescription. 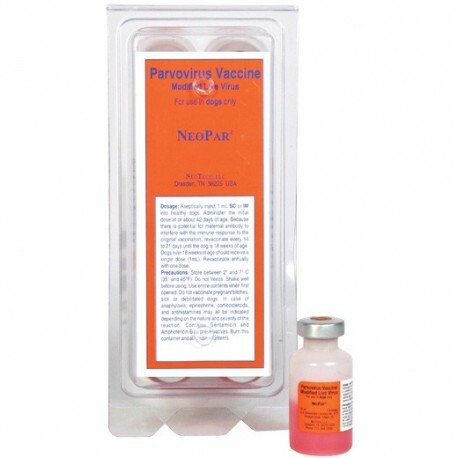 Neopar is recommended for the vaccination of healthy dogs against diseases caused by canine parvovirus. This is a modified live version of the virus. Vaccine is non-returnable. 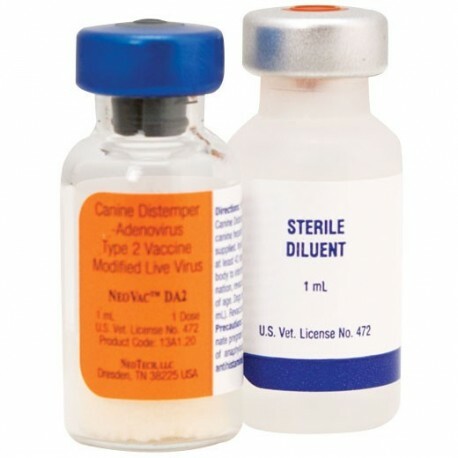 Vaccines with live viruses cannot be shipped to Minnesota without a valid prescription.